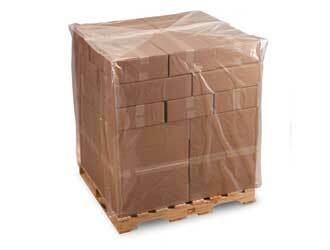 Polyethylene Pallet Covers are used to cover materials on a pallet. These Poly Gusseted Pallet Covers are perfect for light/medium/heavy duty usage. Pleated sides expand to the width of A standard pallet; industrial strength polyethylene offers inexpensive protection.